In the main interview room at the Australian Open, an Asian comic is at work. Reporters are laughing and volunteers are smiling as Hsieh Su-wei, Chinese Taipei resident and professor of timing, is holding funny court. She talks about playing "without a plan", about not killing bugs on court and when asked if it felt good to drive Angelique Kerber crazy with her winners, she grinned: "I'm driving her crazy?" Little bit, yeah, said the reporter. Replied Hsieh: "Okay. This is good you told me that. Next time we try to do more." She's 32, a former doubles No. 1, slim as a wand, which is what she seems to play with as she cast a spell over Garbine Muguruza and Agnieszka Radwanksa before her powers waned and she fell 6-4, 5-7, 2-6 to Angelique Kerber yesterday. People warmed to her, they gasped at world No. 72 Naomi Osaka's power as she beat seeds Elina Vesnina and Ash Barty, they are taken by Chung Hyeon, who sent home the Zverev brothers, paid homage to his idol Novak Djokovic by beating him and lifted his shirt now and then to show us his stomach for a fight. Asian tennis isn't a surprise any more, it has no stereotypical personality and it's all over this Open. From Rod Laver Arena to the suburbs of court 22, every one of the 12 courts in play yesterday had an Asian from some event at work on it. To be precise, 16 players from Japan, nine from Chinese Taipei, six from China, two each from South Korea and India, and one from Thailand, Malaysia and Hong Kong. I don't care for parochialism, and I don't usually care to see sport through a regional eye, and yet every year I chase the Asian story because this is a sport rooted in some of our histories - the Japanese emperor met his wife at a tennis event - and yet whose greatest prizes (the singles titles) we want more of. Japan's Ichiya Kumagae won two silvers in tennis at the 1920 Olympics and while working in New York had the New York Times stating in 1919 that "it could be easily argued on the strength of his recent record that Kumagae is today the best tennis player in America". 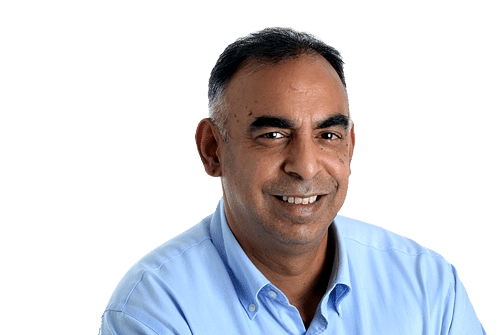 Here in Melbourne, a former Indian Davis Cup player, Chiradip Mukerjea, remembers meeting Grand Slam champions as a boy, when Ilie Nastase, Frank Sedgman and Jan Kodes, among others, came wandering through Kolkata. It was giddy, inspirational, but eventually it's our own modern champions we wanted. Just to boast a little. Just to convince ourselves a sport is not beyond our mastery. Nothing more serious than that. Three Chinese players and two Japanese have travelled to women's Grand Slam singles semi-finals and one, Li Na, has won two titles. In the men's, according to the International Tennis Federation, four Japanese and two Indians reached the semi-finals and only Kei Nishikori got to a final. We're a match away from history. But it's a long way. Surely another Li, even if not with her charm, has to come along, especially since Asia is embracing the game. Thirteen of 54 WTA events are in Asia (seven in China) and six of 64 ATP events (four in China). And yet Thomas Shimada, sitting in the shade of a court, smiles and says, "champions don't grow on trees". He's the Japanese Davis Cup coach and he'll tell you it takes "luck and timing" and numbers of course. Inspiration at least they have, for he's clear that "more kids in Japan want to be like Kei (Nishikori) than any other athlete". Shimada doesn't complain about size, he knows it's there, he can see the corridors of this Open filled with Gullivers, but he knows that Japanese young players are "awfully quick" and says: "Why can't small players hit hard?" He's a coach, which means an optimist, and he says look at the women, for Simona Halep (No. 1) is 1.68m and Li was 1.72m and height isn't a disqualifier here. 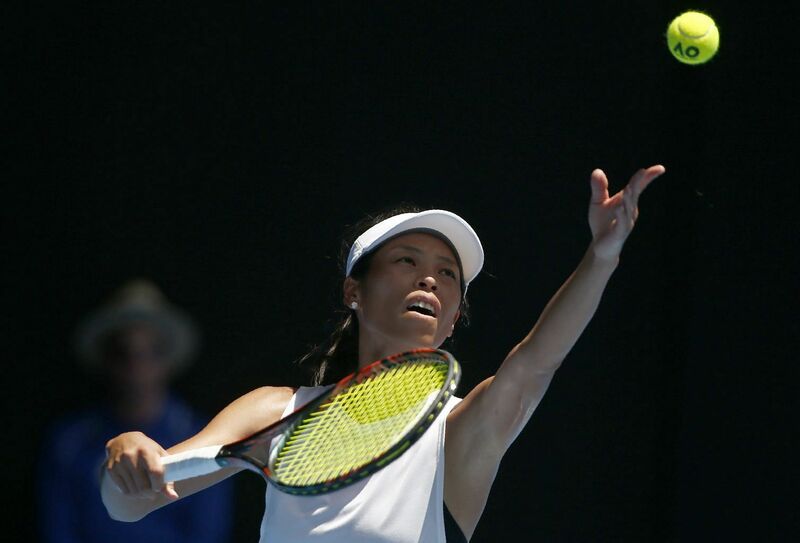 One day Osaka, who is 20 and lost to Halep, will find her game and know how to use her 1.80m power and as Alicia Molik, the former Australian player says: "She will win a Slam. Absolutely." In the men's game, where power is very persuasive, it's a harder road. Asian juniors are standing up - China's Wu Yibing won the 2017 US Open juniors and Japanese kids won the under-12 and under-14 boys at the 2017 Junior Orange Bowl - but it's growing, literally, into senior champions which is the question. The past 54 Grand Slam men's singles titles have been won by players six feet (1.83m) or taller but, in some beautiful cosmic compensation, Chung the conqueror is six foot two (1.88m). Djokovic may have been hurting but the Korean, fit, fast, fierce, flinty, produced his best result ever for himself and his nation and took his continent further than anyone at this Open. He's polite, pimpled, wears glasses and humility. He's Clark Kent, you think, and then he starts to play.